Melbourne City Council remains covered by two Federal electorates. (Melbourne and Melbourne Ports). The Inner City Boundaries are worth noting. 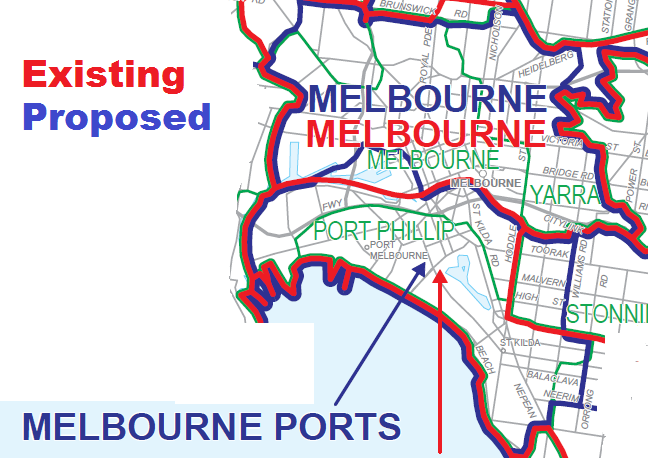 The concept of Greater Melbourne is highlighted and demonstrates that the City of Melbourne would be best if it was exanded to reflect the proposed new boundaries for Melbourne and Melbourne Ports combined. The various players will be watching very closely the demographic mix and voting patterns of the new Docklanders who will be voting for the first time on August 21. 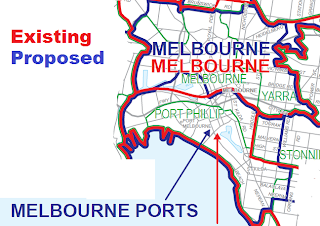 Melbourne Ports has jumped the Yarra and taken in Docklands and has also lost a part of Caulfield. The Jewish sector in Melbourne Ports has significantly been reduced, which means that incumbent Federal Member Michael Danby may very well be looking at his last term of office and most likley be subject to a challenge in the lead up to the 2013 Federal election. Cath Bowtell, if she can win the seat of Melbourne for the ALP, will be in a stronger position come 2013 as many expect the new city ‘Docklands’ precinct to not favour traditional Labor support. Trendy urban dwellers living in the new high rise developments are expected to potentially and naively favour the Greens or Liberal Party. Adding to the ALP mix is that the former City of Prahran, with its injection of Public housing stock and the Windsor Estate is expected to off-set any downside of the Dockland precinct moving into Melbourne Ports but this is no comfort to Micheal Danby who has little support in Prahran. This entry was posted in Federal Boundaries, Greater Melbourne by Admin. Bookmark the permalink.